happy birthday, america! and let’s give a quick thanks that this year’s anniversary was on a friday. hellooooo, three-day weekend! 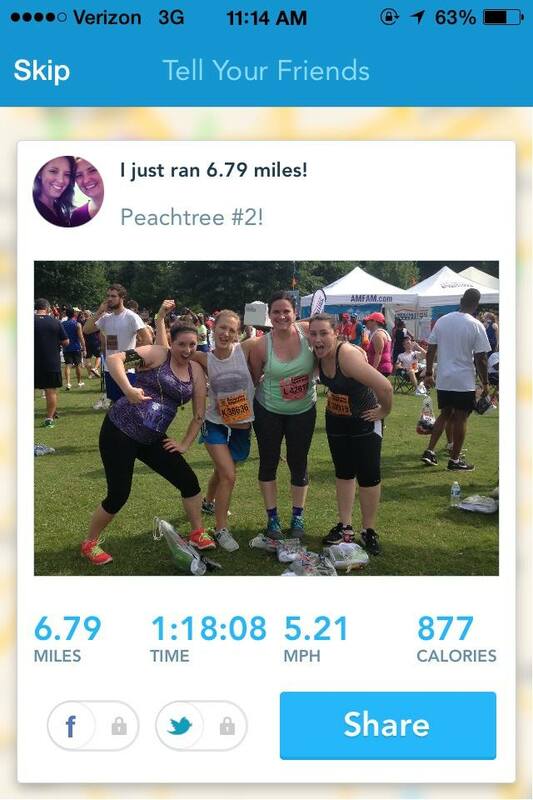 we started the party this year with the 45th annual running of the peachtree road race. for most of us, this year was our fourth running, and it may have been the best one yet. the weather was just gorgeous, and the spirit on the streets was high. personally, i didn’t have the highest expectations for my race since injuring my back in april, but the energy from all the other runners was infectious. i could do it! sarah and i fueled up with bananas, gatorade, coffee, and a breakfast sandwich. a meal fit for champions! we were ready to conquer some stuff, clearly. we moseyed on over to the start line, already having missed our start waves L and N. oh well! the race course wasn’t going anywhere at all, so we hopped in with the S group and awaited our signal. the day was just gorgeous, cool with a breeze that would certainly promise for a more comfortable 6.2 miles than usual. the bright sun! the blue skies! ah, such a sight! our starting song was jason derulo’s “other side”, and i was getting hyped! i’ve run three half-marathons, so surely i could get through this race again. at mile one, i made a quick stop to say hello to my mom and neighbors chris and suzy, along with their sweet pup shorty. such a good burst of excitement to keep me moving! i passed mile three with more ease that i expected and told myself to get up cardiac hill through mile four, then i would reassess how i felt. mile four came and went, and i pushed myself to make it to the end without stopping. i weaved to the left for one final water break, made the turn on 10th, and raced down towards piedmont park, hurtling myself across the finish line. another peachtree road race under the belt! and man, did it feel great. kari, kiley, sarah, and i congregated shortly after my finish. we were all quite happy with our performances, smiles all around. i suppose you cannot ask for much more than that after running a 10k. we did it! sarah, kiley, kels, and kari. 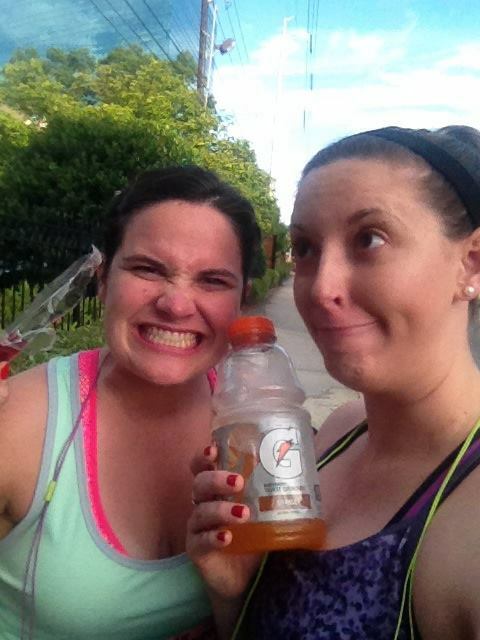 after loading up on peaches and granola bars and powerade, we made the unpleasant walk to the marta station. sometimes this part is the most miserable of the whole event! we hopped aboard a bus and were conveniently dropped off right at the lindbergh marta station. it was convenient because each year after the race, we meet up at chili’s to celebrate and have lunch. this year we kept the tradition going, and our table of 12 took some time to relax and catch our breath. it was an enjoyable afternoon, made even better by the three hour naps we took afterwards. whoops! kyle and kari were having folks over that night to hang out, so sarah, clark, and i made ourselves somewhat presentable, grabbed smashburger for dinner, and knocked on their door. what a pleasant surprise, that nathan and alison were also there! holidays are always better with friends and family. 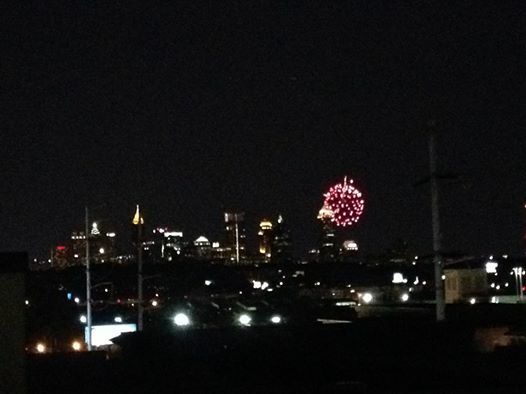 we finished watching the braves beat the diamondbacks and headed to the rooftop to watch the lenox mall fireworks show. we of course were not the only ones with this bright idea, so we squeezed in among everyone to get a good spot. not too bad, eh? saturday morning i woke with hesitation, as i was still quite drained from the events of the holiday. but! there is no sleep for the world’s busy bees, so i scarfed down a bowl of cereal and headed to the american red cross midtown location. i hadn’t given in a few months, and i finally gave in to the red cross’ persistent calls. 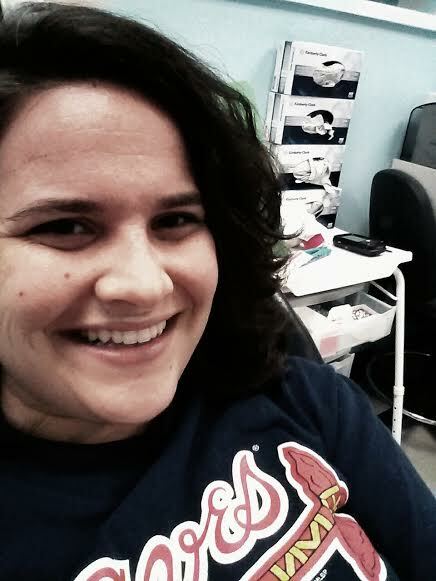 i’ve donated blood many times in the past, but that doesn’t mean i actually enjoy the experience. can you tell? i kid! although i don’t particularly like getting stuck with a needle, i know it’s such a good thing to do, and i will gladly continue to give so long as i am able. she who donates is happy. i spent a few minutes in their canteen to make sure i was good to go, and then i met up with clark for some brunch. i wanted someplace new, and we stumbled upon rosebud while doing some searching online. it turns out it was a wonderful spot, and i’ll tell you all about it now. rosebud is a morningside resident, and it is quite a cute spot. i had originally requested we sit outside, which we did, but that sun was blazing down without mercy, so we kindly asked to be seated inside, you know, only if it wasn’t too much trouble. i asked the waitress with a kind smile, and she gladly found a table for the two of us inside. why, thank you very much! whenever clark and i have the chance, we know that day drinking will be on the menu, so he ordered the orange stillman and i decided to try the blueberry royale. clark’s drink was monstrous! 32 ounces of vodka, orange crush, champagne, and fresh orange juice to be exact! i had a sip myself and have to confess that, yes, it was just as delicious as it looked. a drink that is a screwdriver and mimosa hybrid cannot be a bad one. 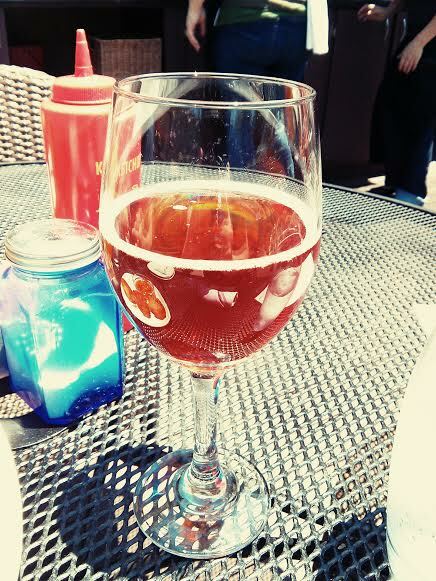 i sipped my royale, and although it was delicious as a mimosa, i was wanting there to be a stronger blueberry flavor. it was quite bubbly and not too sweet and i finished it all without question, so i suppose it wasn’t too shabby. 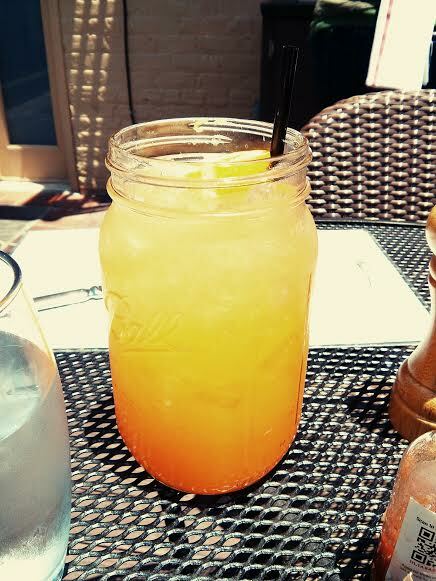 when we ordered our drinks, i also asked for a plate of the fried cheese grits, as they had caught my eye when we were checking out their menu online. these little puppies arrived right after our drinks, and i wasted no time in helping myself. clark took the first bite and declared they were quite tasteful. i had my first bite also and was quite pleased with our choice. although delicious on their own, i highly recommend you eat every mouthful with the pepper jelly. it really makes this dish! after placing our entrée orders and moving inside, clark and i had a lovely afternoon. it’s so fun to be siblings, but it’s getting even cooler now that we are young adults together. i am not sure i could be more thankful for him and my older brother kyle in my life. family is everything! the waitress brought our dishes, and i could feel my eyes and stomach growing right at that moment. clark’s stuffed pancake looked incredibly indulgent, and it proved to taste that way as well. the sweet syrup was nicely offset by the spicy sausage, and the crunchy bacon was a good complement to the soft pancake. he did not leave one single crumb on his plate! i had decided that the gordo breakfast was exactly what i needed that afternoon. the side of traditional grits were so outstanding that i didn’t have to put any other seasoning atop. the fried chicken was flavorful, and the sausage gravy was not too overpowering. the homemade biscuit was to die for, and i am thinking that one of those biscuits with the pepper jelly would have been a great combination. we wrapped things up at rosebud, graciously thanked the very kind wait staff, and picked up kyle and kari to head to the braves game. i luckily had the company tickets for that afternoon’s game, and with four seats, we were the perfect group to attend. thanks, andy! 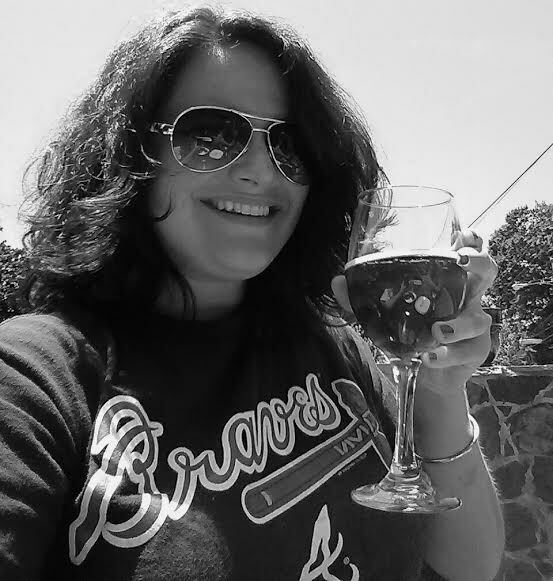 the afternoon continued to be just breathtaking, the company was entertaining, the food and drinks were sustaining, and, perhaps best of all, the braves won! they now led the series 2-0 against the diamondbacks. let’s hope they pull out the win on sunday for a sweep! all in all, a very wonderful weekend. a little work, a lot of play, and a lot of relaxing, just what a holiday should entail, if you ask me. 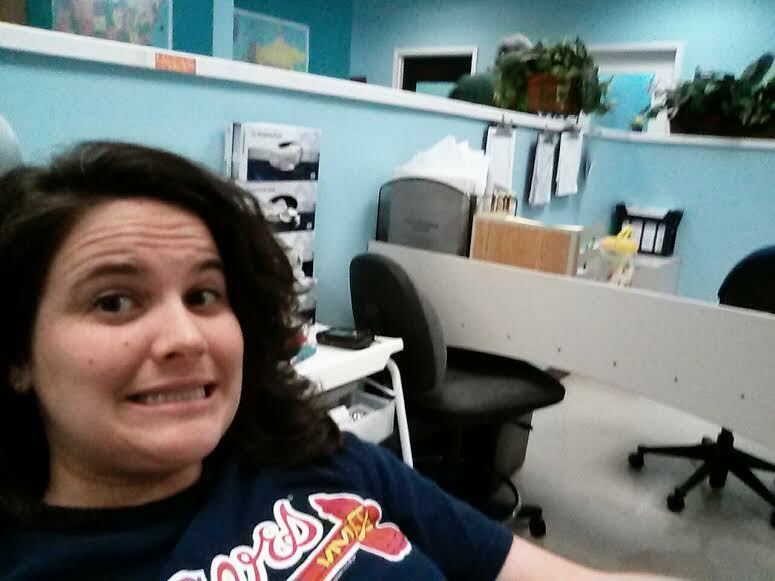 i hope your fourth of july celebrations were fun and carefree, too.